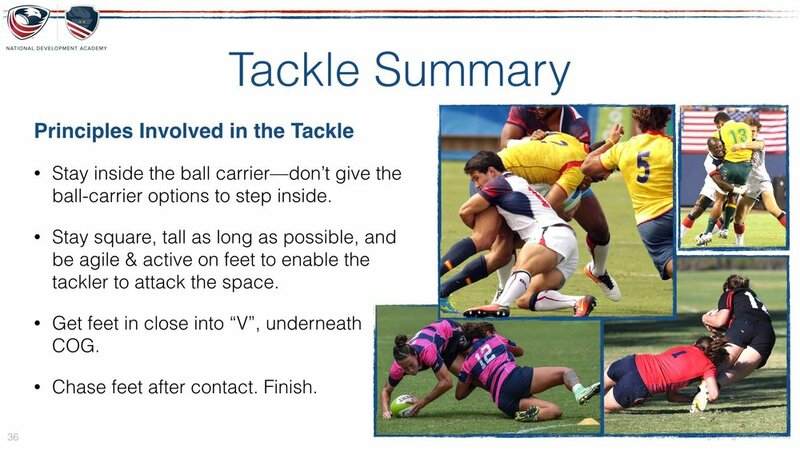 Approach: Stay inside the ball carrier—don’t give the ball-carrier options to step inside. Stay "square" and be agile & active on feet to be able to attack the space presented by ball-carrier. Rapidly get back on one's feet to contest ball by poach or clear out.